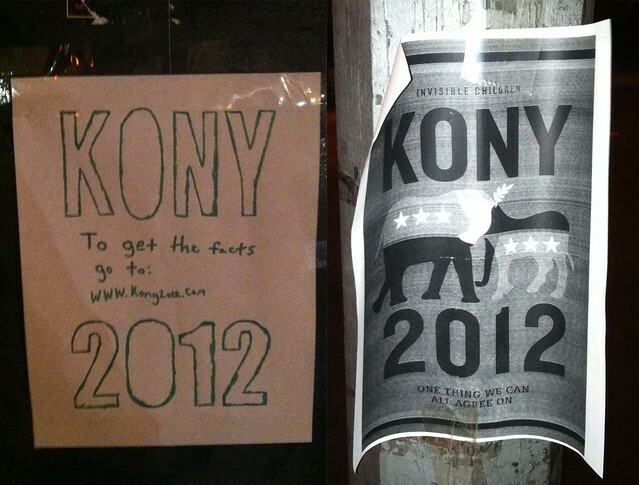 I smiled seeing a trail of KONY posters around Carroll Gardens last night. I've been curious to see how far this experiment of using media could change how we react and at the same time help the Invisible Children. The youtube video went viral in March with over 88 million hits, it was shared throughout Facebook, written in the news. But shortly thereafter, the creator behind the film, Jason Russell went mental. I wondered how much of his naked escapade would effect people in caring for the cause or would it just turn into a joke/ phase out as a passing bandwagon. I wondered how much it could unite us all for a common cause. Honestly, yes, I am embarrassed to be associated with Jason Russell, but I still believe in the message of the film, it hasn't changed. I don't think I saved the world by donating money or putting up posters last night in my neighborhood, but I do know that we were able to share the awareness to strangers who talked to us about the signs and that it's better than doing nothing at all because we lose by being indifferent. I think if the KONY2012 campaign got 1 or 2 people together to believe in a cause and to take action, it isn't a failure. Joseph Kony is one of the world's worst war criminals. We all have the ability to do something. 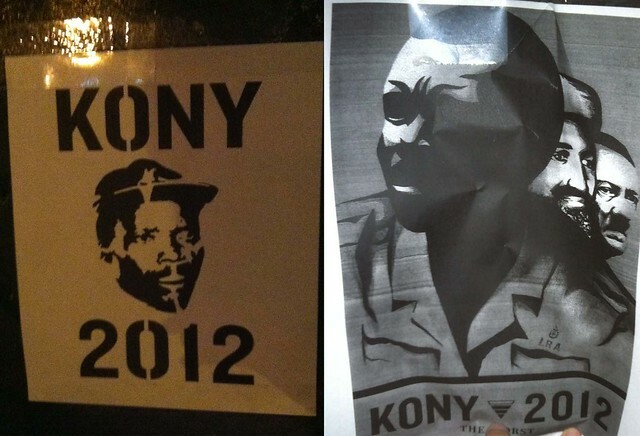 Please stop Kony.